India is seeking for the opening of a resident mission in Cameroon so as to reinforce relations between Yaounde and New Delhi. Visiting Indian High Commissioner to Cameroon with residence in Abuja, Nigeria held talks with Prime Minister, Dion Ngute during which they discussed the modalities of opening a resident mission in Yaounde. In the near future, India plans to open a permanent diplomatic representation in Yaoundé, Cameroon. The information was revealed on 9 April 2019 at the end of the hearing that the Prime Minister, DION NGUTE granted to the High Commissioner of that country in Cameroon, HE Mr. ABHAY THAKUR in the late afternoon. 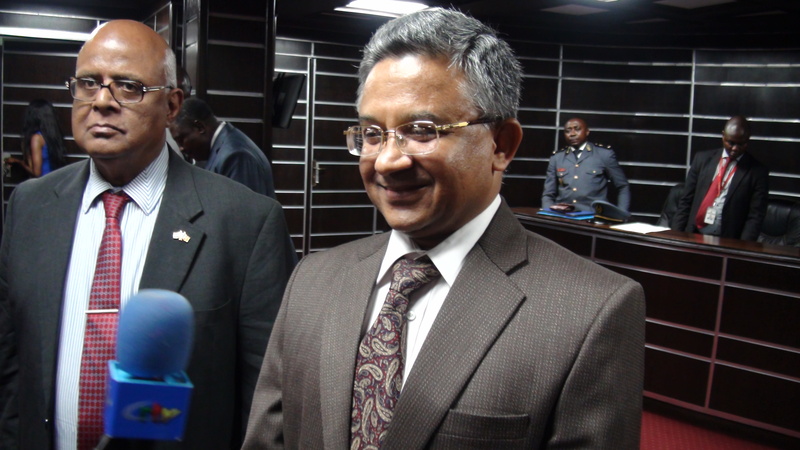 So far, the head of India's diplomatic mission in Cameroon was resident in Nigeria. After the exchange that lasted about a quarter of an hour, H.E. Abhay Thakur told pressmen that the two parties discussed issues of common interest, including capacity building, vocational training, as well as bilateral relations between the two countries. 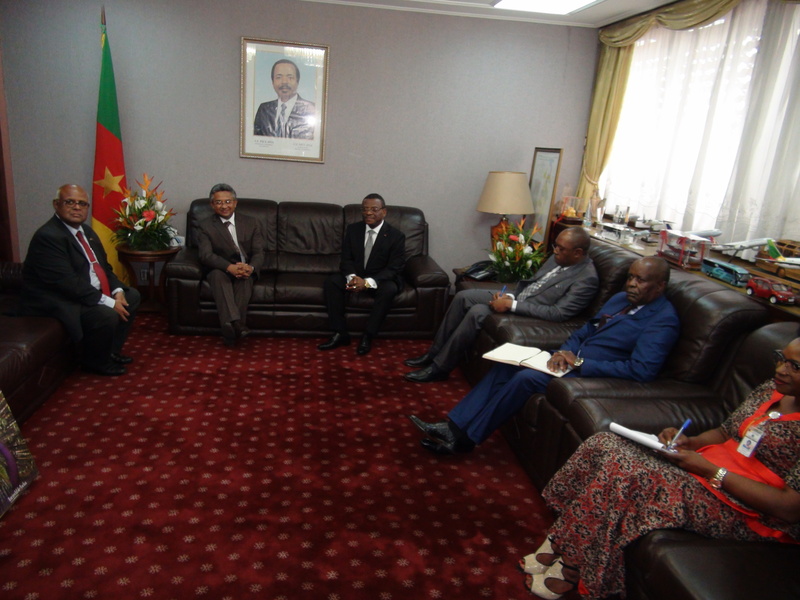 They also discussed development projects to be implemented in Cameroon with Indian financing. The High Commissioner welcomed the prompt response of the Cameroonian authorities to his country's request for their proposed projects. 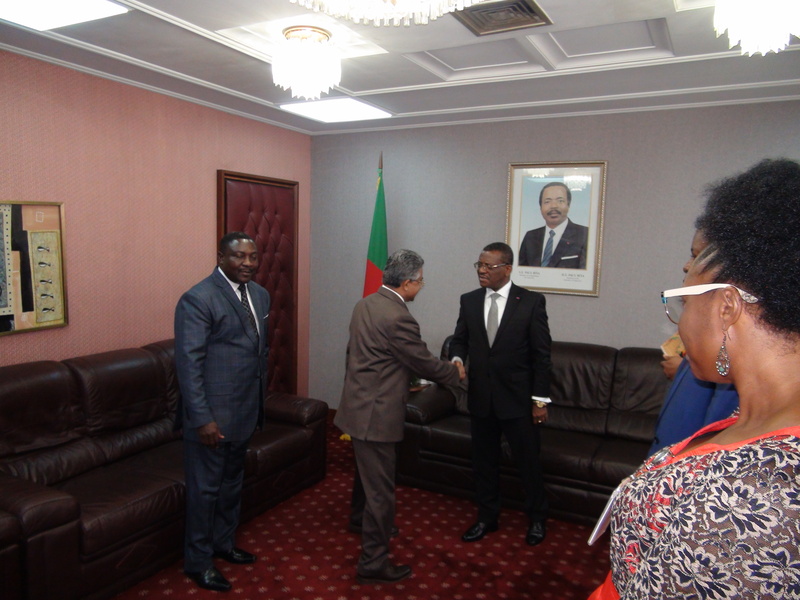 He was accompanied to the Star Building by the Honorary Indian Consul in Cameroon, Ravi KUMAR.